Evacuation systems are especially useful in certain manufacturing processes like those in a steam power plant. In these plants, steam coming from the steam turbine undergoes condensation using either a water or air cooled condenser that works using a vacuum technology. The condenser’s function can be impaired though since there can be air present to hamper its function. The air can leak possibly from turbine seals or even those other pieces of equipment connected to the unit. This will then impact the condensing capability of the condenser. In order to not compromise the results of the process, evacuation systems can be used to evacuate trapped air. At Airtech Vacuum Incorporated, we can install vacuum and blower technologies for your evacuation systems. A steam plant depends upon a list of equipment that will help deliver the functions of its processes. Using an ejector system or a specialized vacuum pump system, air can then be evacuated from the condenser. The vacuum pump operates using an electrical motor but there are instances where the application will require low suction pressure thus using special evacuation hybrid systems will be required. Evacuation systems perform two specific types of functions known as hogging and holding. In the function called hogging, the evacuation system is used to remove air from the condenser’s steam space. The process takes about 30 minutes before proceeding to the next function called holding. In holding, the evacuation system will then be able to remove a specified amount of air coming from the condenser. It is important that in both processes for evacuation systems, the vacuum pump should be suitable. Why Choose Airtech Vacuum Incorporated For Evacuation Systems? 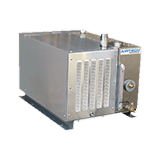 Founded in 1982, Airtech Vacuum Incorporate has endeavored to continuously manufacture a wide array of vacuum and blower technologies, including vacuum pumps, oil-free vacuum pumps, oil-flooded rotary vane vacuum pumps, and more. Thanks to our team of dedicated workers, we have lived up with our promise to deliver quality products to our end users. Our vacuum and blower technologies for evacuation systems in the environmental industry are easy to operate and install plus they come with features like close-coupled construction. If you choose to work with us for your evacuation system needs, you will have no less than total peace of mind knowing that we have attained certification from ISO9001-2008, CSA, CE, UL, and RoHS. In order to deliver the products that you need for your industry, our team of knowledgeable engineers will come to your doorsteps to analyze your unique situation. This is the best thing we can do to assure that you will get the product or technology that will be best suited for your needs. 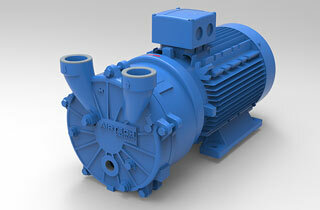 Whether you need nickel-plated blowers or those that have magnetic drives in them, Airtech is a reliable source. We take pride in our work by handling every order with care. Not to forget that we offer our products at the most competitive rates possible. Start browsing through our inventory today and source for top-notch evacuation systems vacuum and pressure products with exceptional ease!